Sky has confirmed that Rupert Murdoch's 21st Century Fox is making a bid for the pay TV giant. 21st Century Fox already owns nearly 40% in the company. It's Rupert Murdoch's second recent attempt to take full control of Sky, after a failed bid during 2010/2011. After a period of negotiation, the Independent Directors of Sky and 21st Century Fox said they had reached agreement on an offer price of £10.75 per share in cash, less the value of any dividends subsequently paid by Sky. However, Sky notes that certain material offer terms remain under discussion and there can be no certainty that an offer will be made by 21st Century Fox, nor as to the terms of any such offer. The Independent Directors, who have received financial advice from Morgan Stanley, PJT Partners and Barclays, have indicated to 21st Century Fox that they are willing to recommend the Proposal to Sky shareholders, subject to reaching agreement on the other terms. In providing advice to the Independent Directors, Morgan Stanley, PJT Partners and Barclays have taken into account the commercial assessments of the Independent Directors. The Proposal represents a premium of 40% to the closing price on 6th December, being the last business day prior to the initial proposal being received from 21st Century Fox, and a premium of 36% to the closing price on 8th December, being the last business day prior to this announcement. Sky has formed an independent committee of the Board to consider the terms of the Proposal. The Independent Committee comprises Martin Gilbert, Andrew Sukawaty, Jeremy Darroch, Andrew Griffith, Tracy Clarke, Adine Grate, Matthieu Pigasse and Katrin Wehr-Seiter. Discussions are continuing and a further announcement will be made in due course as appropriate, but 21st Century Fox is required to clarify its intentions by 5:00pm on Friday 6th January 2017. 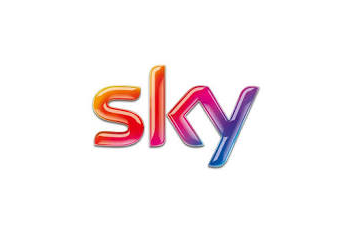 During the last shuffle-round of Murdoch's TV assets, Fox sold its stake in Sky Deutschland and Sky Italia, paving the way for the creation of a single Sky Europe, controlled by London, a move which saw Sky's UK channel branding adopted in other European countries. In 2010, the Murdoch empire tried to take control of Sky through his News Corporation business. After hitting strong political headwinds in the aftermath of the hacking scandal, the bid was withdrawn, and Murdoch split his company into two: News Corp looking after newspapers and 21st Century Fox containing TV assets. Since earlier this year News Corp also owns The Wireless Group, the company that operates stations including TalkSPORT. This means that newspapers and radio stations are controlled by a different company than Sky would be in the event of a successful takeover.